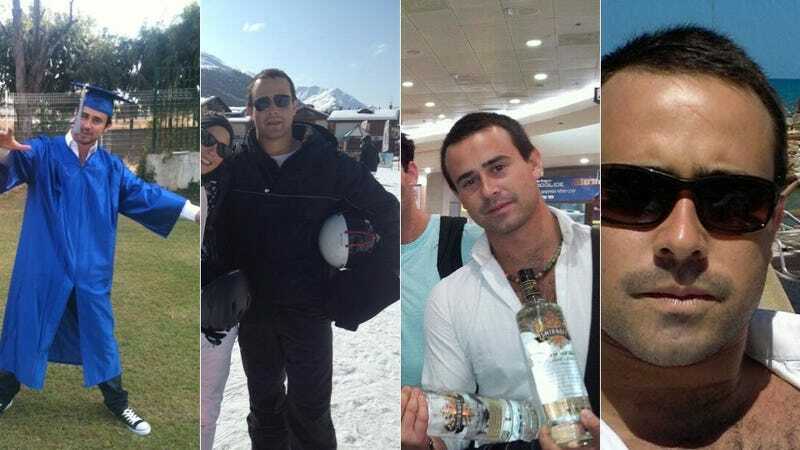 Sacha Dratwa enjoys some very normal things: macchiatos, swimming, vodka, hanging out with friends. You can see it right on his Facebook profile. But unlike most Facebook folks, this guy runs Israel's Internet propaganda war machine. Tablet brings us the story of Dratwa, who came to Israel from Belgium, and at only 26 years old, commandeered "the IDF's YouTube and Facebook presence and turned it into the most globally visible arm of the Israeli military." No small feat. And you've got to hand it to the guy; as far as 21st century web psych-ops goes, the man is definitely onto something. Tweeting YouTube assassination videos is next-level stuff. And as a relatively young feller, Dratwa gets it: "We believe people understand the language of Facebook, the language of Twitter," he tells Tablet. Ergo, the Israeli military is using the exact same tools to win you over as, say, Pepsi, or Boo the Dog. The difference is that Dratwa, who commands a team of social media soldiers fighting to sway public opinion on a controversial war one tweet, Flickr upload, and YouTube share at a time, has an almost entirely public Facebook profile. You can't say the same for most military brass in a wartime superpower. He's just a guy—albeit a guy running the IDF's highly-sophisticated online component of an IRL war—but a guy nonetheless. A guy who does guy stuff. Picking ruggedly handsome profile pictures. Commanding a cyber propaganda squad.